NEW YORK & INDIANAPOLIS--(BUSINESS WIRE)--Pfizer Inc. (NYSE:PFE) and Eli Lilly and Company (NYSE:LLY) today announced complete results from a Phase 3 study evaluating the efficacy and safety of subcutaneous administration of tanezumab, an investigational humanized monoclonal antibody, in patients with osteoarthritis (OA) pain treated for 16 weeks. The study met all three co-primary efficacy endpoints, demonstrating that among patients with moderate-to-severe OA pain of the knee or hip, both dosing regimens of tanezumab were associated with a statistically significant improvement in pain, physical function and patient’s global assessment of their OA, compared to placebo. These data were presented during a late-breaking oral session at the 2018 American College of Rheumatology/Association of Rheumatology for Health Professionals (ACR/ARHP) Annual Meeting in Chicago. More than 27 million Americans are living with OA, a progressive disease that can cause ongoing debilitating pain. Treatments for OA pain are limited, and many individuals are unable to find relief from or tolerate currently available options. Tanezumab is part of an investigational class of pain medications known as nerve growth factor (NGF) inhibitors, and in addition to OA pain, is also being studied as a potential treatment for chronic low back pain (CLBP) and cancer pain (due to bone metastases). If approved, tanezumab would be a first-in-class, non-opioid treatment for OA pain and CLBP. The Phase 3 OA study evaluated changes from baseline to 16 weeks for three co-primary efficacy endpoints of pain intensity and physical function, assessed using the Western Ontario and McMaster Universities Osteoarthritis Index (WOMAC) subscale and patient’s overall assessment of their OA (PGA-OA). At 16 weeks of treatment, tanezumab was associated with a significant reduction in pain compared to placebo; additional efficacy findings are detailed in the table below. In the study, nasopharyngitis (common cold), pain in extremity and paresthesia (tingling or numbing) were the most common adverse events (AEs ≥3%) and had a higher frequency in both tanezumab treatment groups compared to placebo-treated patients. Tanezumab was generally well tolerated, with 0.4 percent and 1.3 percent of patients in the tanezumab 2.5 mg and 2.5/5 mg arms, respectively, discontinuing treatment due to AEs; 1.3 percent of patients in the placebo arm discontinued treatment due to AEs. There were no cases of osteonecrosis observed in the study. Rapidly progressive osteoarthritis (RPOA) was observed with tanezumab-treated patients at a frequency of 1.3 percent and was not observed in the placebo arm. The incidence of RPOA type 1 (accelerated joint space narrowing) in the tanezumab 2.5 mg and 2.5/5 mg arms was 1.3 and 0.4 percent, respectively, and the incidence of RPOA type 2 (damage or deterioration of the joint) was 0.9 and 0 percent, respectively. In the study, 3.5 percent and 6.9 percent of patients receiving tanezumab 2.5 mg and 2.5/5 mg, respectively, had total joint replacement surgery, compared to 1.7 percent receiving placebo. The majority of surgeries (68 percent) took place after treatment was completed, during or shortly after the 24-week safety follow-up period of the study. All surgeries in this study took place among patients with more severe OA at screening (Kellgren-Lawrence grade 3-4). The Phase 3 global clinical development program evaluating the efficacy and safety of tanezumab includes six studies in approximately 7,000 patients with OA pain, CLBP and cancer pain (due to bone metastases). Additional readouts from the Phase 3 program are anticipated beginning in the first half of 2019. The Phase 3 OA study (A4091056) was a 16-week randomized, double-blind, placebo-controlled, multicenter, parallel-group trial evaluating the efficacy and safety of subcutaneous administration of tanezumab compared to placebo in patients with OA of the knee or hip. The trial included a 24-week safety follow-up period. In the study, patients were enrolled with moderate-to-severe OA pain who had experienced inadequate pain relief with other treatment options for OA pain or were unable to take other pain medications. A total of 698 patients were randomized to three treatment groups in a 1:1:1 ratio to receive two injections over the 16-week treatment period, once every eight weeks; 696 patients received treatment. One group received two doses of placebo, the second group received two doses of tanezumab 2.5 mg, and the third group received one dose of tanezumab 2.5 mg followed by one dose of tanezumab 5 mg eight weeks later. Efficacy in the study was measured based on change from baseline to 16 weeks using the WOMAC Pain and Physical Function subscales (11-point numerical rating scale, where higher scores indicate higher pain levels or worse function) and PGA-OA scores (5-point numerical rating of the patient’s condition, where 1 equals “very good” and 5 equals “very poor”). The average baseline scores for this moderate-to-severe patient population were as follows: the WOMAC Pain and Physical Function subscales were approximately 7.1 to 7.4, and the PGA-OA scores were approximately 3.4 to 3.5 across the treatment groups. Tanezumab is an investigational humanized monoclonal antibody that works by selectively targeting, binding to and inhibiting NGF. NGF levels increase in the body as a result of injury, inflammation or in chronic pain states. By inhibiting NGF, tanezumab may help to keep pain signals produced by muscles, skin and organs from reaching the spinal cord and brain. Tanezumab has a novel mechanism that acts in a different manner than opioids and other analgesics, including nonsteroidal anti-inflammatory drugs (NSAIDs), and in studies to date, tanezumab has not demonstrated a risk of addiction, misuse or dependence. 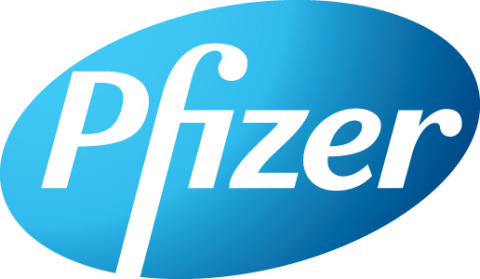 In 2013, Pfizer and Lilly entered into a worldwide co-development and co-commercialization agreement for the advancement of tanezumab. In June 2017, Pfizer and Lilly announced that the U.S. Food and Drug Administration (FDA) granted Fast Track designation for tanezumab for the treatment of OA pain and CLBP. Tanezumab is the first NGF inhibitor to receive Fast Track designation, a process designed to facilitate the development and expedite the review of new therapies that treat serious conditions and fill unmet medical needs. Lilly is a global healthcare leader that unites caring with discovery to make life better for people around the world. We were founded more than a century ago by a man committed to creating high-quality medicines that meet real needs, and today we remain true to that mission in all our work. Across the globe, Lilly employees work to discover and bring life-changing medicines to those who need them, improve the understanding and management of disease, and give back to communities through philanthropy and volunteerism. To learn more about Lilly, please visit us at www.lilly.com and http://newsroom.lilly.com/socialchannels. PFIZER DISCLOSURE NOTICE: The information contained in this release is as of October 23, 2018. Pfizer assumes no obligation to update forward-looking statements contained in this release as the result of new information or future events or developments. This release contains forward-looking information about a product candidate, tanezumab, including its potential benefits, that involves substantial risks and uncertainties that could cause actual results to differ materially from those expressed or implied by such statements. Risks and uncertainties include, among other things, the uncertainties inherent in research and development, including the ability to meet anticipated clinical trial commencement and completion dates and regulatory submission dates, as well as the possibility of unfavorable clinical trial results, including unfavorable new clinical data and additional analyses of existing clinical data; the risk that clinical trial data are subject to differing interpretations, and, even when we view data as sufficient to support the safety and/or effectiveness of a product candidate, regulatory authorities may not share our views and may require additional data or may deny approval altogether; whether regulatory authorities will be satisfied with the design of and results from our clinical studies; whether and when new drug applications may be filed in any jurisdictions for tanezumab; whether and when any such applications may be approved by regulatory authorities, which will depend on the assessment by such regulatory authorities of the benefit-risk profile suggested by the totality of the efficacy and safety information submitted and, if approved, whether tanezumab will be commercially successful; decisions by regulatory authorities regarding labeling and other matters that could affect the availability or commercial potential of tanezumab; and competitive developments. LILLY DISCLOSURE NOTICE: This press release contains forward-looking statements (as that term is defined in the Private Securities Litigation Reform Act of 1995) about tanezumab as a potential treatment for patients with osteoarthritis, chronic low back pain, and cancer pain, and reflects Lilly’s current beliefs. However, as with any pharmaceutical product, there are substantial risks and uncertainties in the process of drug development and commercialization. Among other things, there is no guarantee that future study results will be consistent with study findings to date, or that tanezumab will be approved by the U.S. FDA or other regulatory authorities on the anticipated timeline or at all, or that tanezumab will be commercially successful. For further discussion of these and other risks and uncertainties, see Lilly’s most recent Form 10-K and Form 10-Q filings with the United States Securities and Exchange Commission. Except as required by law, Lilly undertakes no duty to update forward-looking statements to reflect events after the date of this release.